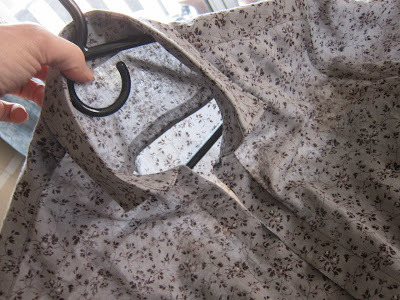 Friends, I am happy to report that I finished my cotton voile shirt over the weekend. 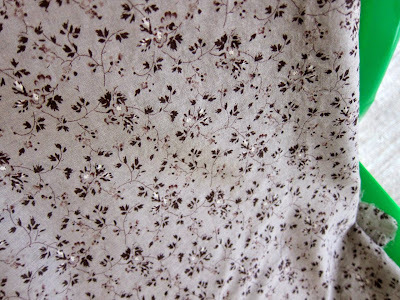 Today I started my latest project, a shirt made from the gray floral cotton voile I purchased last month at Elliott Berman. 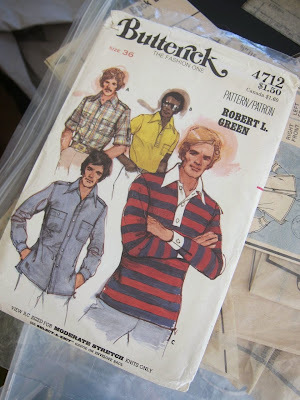 It's a very delicate, finely woven fabric from France. 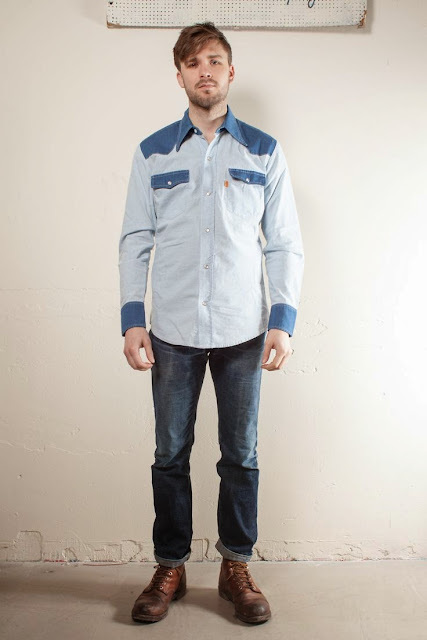 Readers, the Western shirt is done, pearl snaps and all! 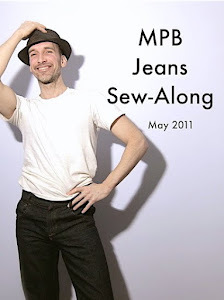 To see me model it, just click here. 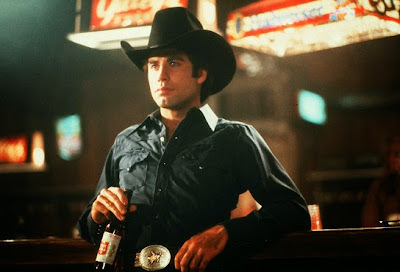 Readers, it didn't dawn on me till I was halfway through the chambray shirt I'm making that it's really a modified cowboy shirt. 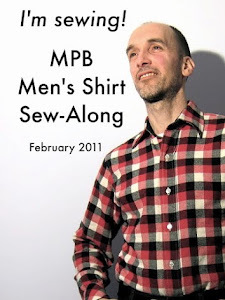 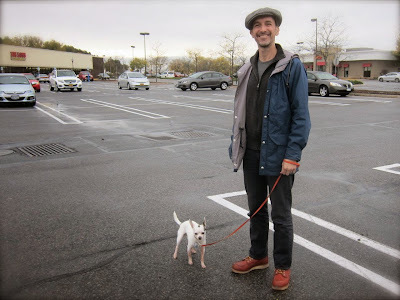 Labels: mens patterns, mens shirt, YEA or NAY? 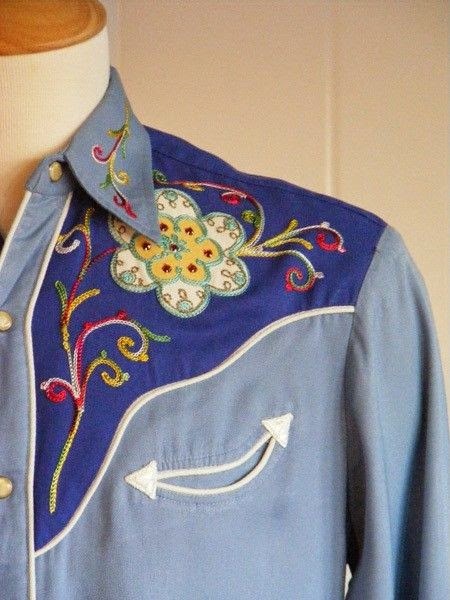 I saw this shirt, from Levi's vintage line, on Pinterest recently and I really liked it. 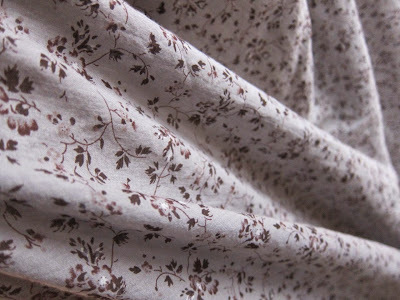 I can't remember whether I showed you this beautiful gray cotton lawn I picked up last month at Elliot Berman. 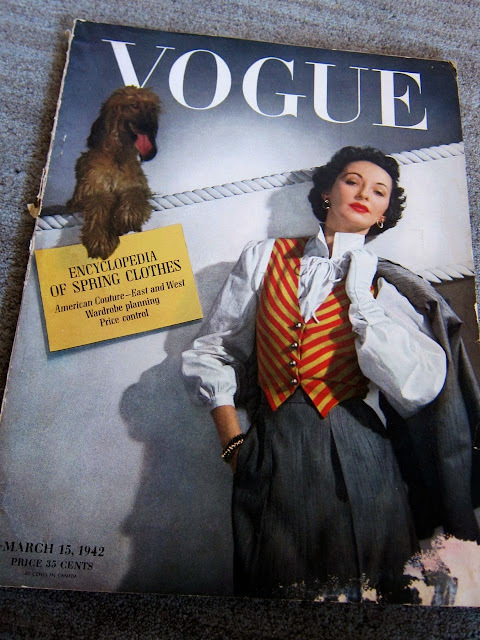 As anyone who follows me on Pinterest already knows, I am a big fan of vintage department store display, Sixties hairdos, and -- most especially -- Forties fashion. 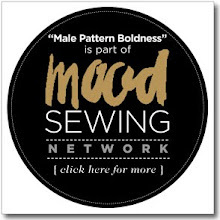 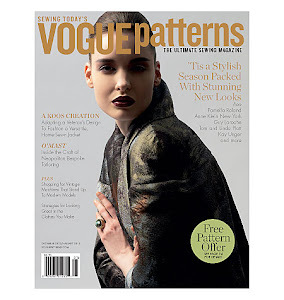 MPB EXCLUSIVE: An entire BOOK about the sewing pattern industry!!! 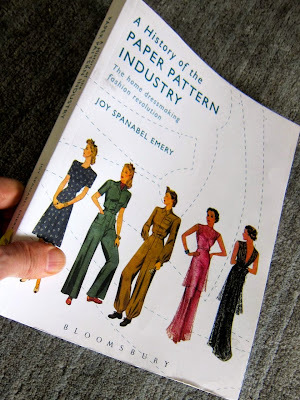 Last Saturday my friend Johanna lent me a library copy of A History of the Paper Pattern Industry, written by Joy Spanabel Emery and published by Bloomsbury in 2014.